Two point attachment is rigid enough to assist in target acquisition but allows for minor adjustment while at the ready. 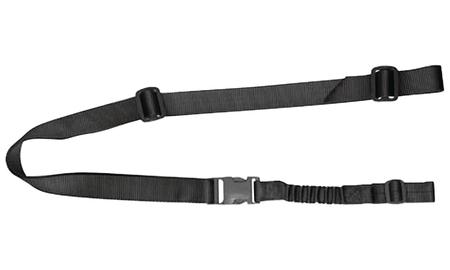 Narrow-coated webbing, ITW Nexus/Fastex infrared inhibitor buckles and plastic hardware. Quick detach front bungee system allowing the shooter to release the sling with ease. Hooks not included.